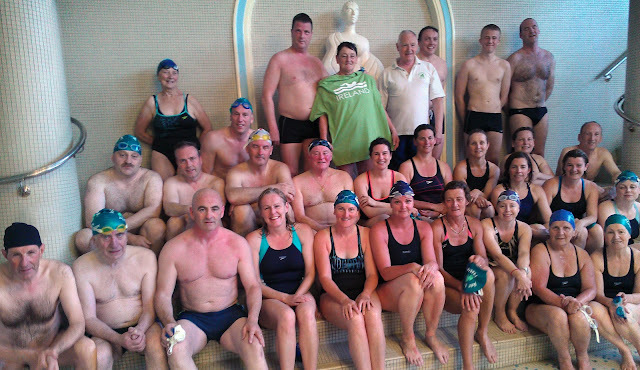 A Team of 16 Swimmers from Aer Lingus Masters SC went to the World Masters in Riccione in June . Everyone swam very well even Peter Conway in the 50 fly which he swam at 10.30pm under floodlights. Dymphna Morris who came 2nd in 800 Free and 400 Free and 3rd in 200Free. She was placed 4th in 200 IM and 10th in the 200 Backstroke. Suzanne Harkins came 7th in the 400 Free and 9th in the 200 Fly. Dymphna , Suzanne and Jeff broke Irish Records in their individual events. The Womens 200yrs + 4x50 FTR came 6th and 4x50 MTR came 8th -- Dymphna Morris, Marie Guidon, Patricia Reilly and Ann Cummins. Mixed 200 yrs + 4x50 MTR - Dymphna Morris, Patricia Reilly, Dermot Canavan and Peter Conway . Mixed 240 yrs + 4x50 FTR - Mary Fitzpatrick, Marie Guidon, Jeff Philips and Tony O'Brien. for all his hard work in the months prior to the Worlds. Good Luck Aer Lingus Masters! 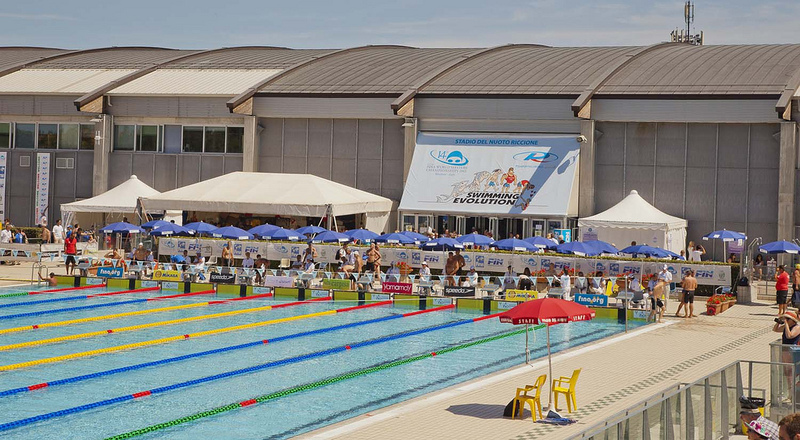 Good luck to everyone heading off to Riccione, Italy, this week to take part in the Fina 2012 World Masters Championships! We're all behind you.